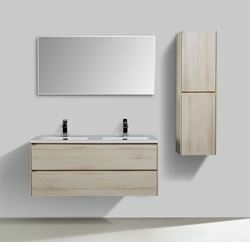 The 1200 mm length wall mounted double vanity is a stunning piece for a contemporary bathroom. 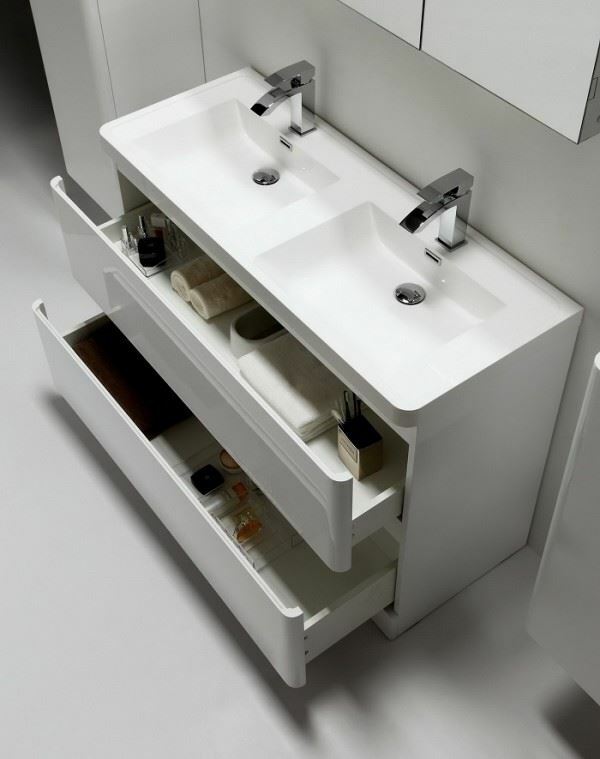 Its two soft-close drawers feature a sleek handleless design. Finished in high gloss white, this piece is distinctively modern. 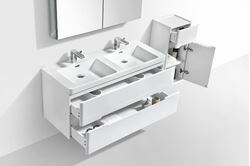 This model is also available in 600 mm L, 900 mm L and 1500 mm L. Matching tall cabinets and compact side cabinets available.